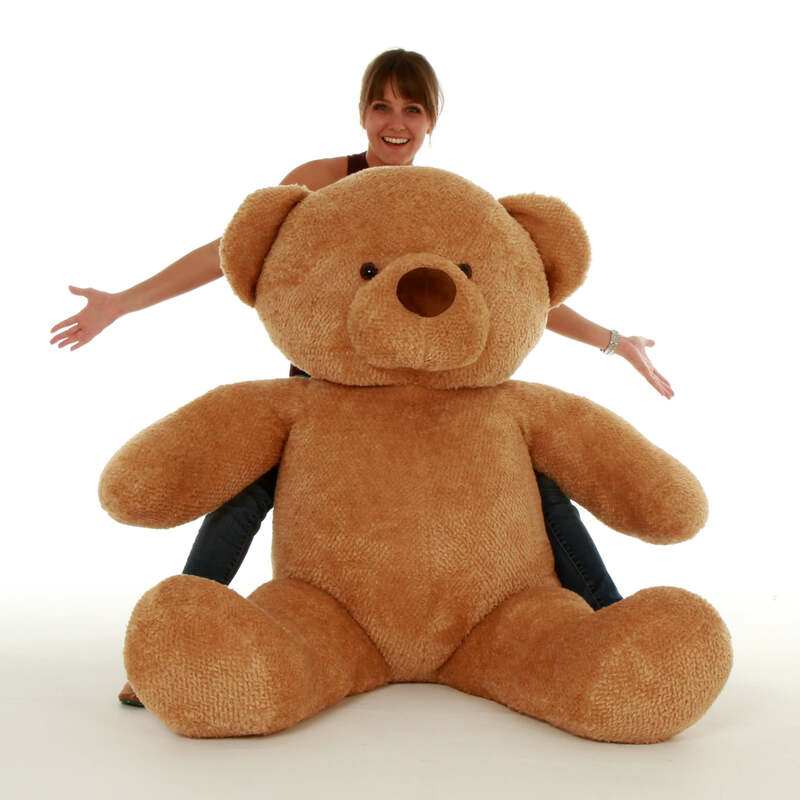 Everyone loves a giant teddy bear, and this one is extra cute. In fact, we named him Cutie Chubs! Cutie is a huge life size teddy bear 60in (5ft) tall, with beautiful amber brown fur so soft you’ll never want to let him go. Like all the members of our Chubs Bear Family, Cutie has a big oversized body with a tubby tummy, round arms and legs, a huge head, soft brown nose, cute little tail and big dark eyes. He’s a dream come true for someone really special when you need the ultimate teddy bear gift.